The Raymondville Independent School District is embarking on a strategic planning process. 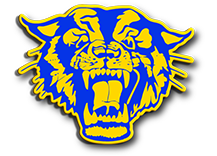 The strategic planning process is designed to capitalize on the core values and core purpose of Raymondville ISD while adapting to the changing environment. This important process will help us identify long and short term goals that will determine our course of action for the next 3 to 5 years. The District Strategic Planning Team is comprised of parents, students, community members, business members and campus staff that were recommended by the five district campuses. Betty Burks, educational consultant, will be the external facilitator assisting the district in the planning process. Mrs. Burks has served more than 30 years in public education. She is currently an independent educational consultant specializing in strategic planning, leadership development, and organizational improvement processes. Input from the entire community will be instrumental in establishing a plan that is relevant to the district’s future direction and priorities. After the District Planning Team has developed a draft plan, Action Teams will be organized to help design specific outcomes and plans to make the goals and strategies "come alive" throughout the district.